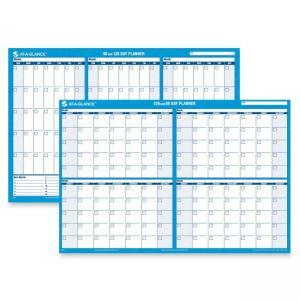 Media Size: 36" x 24"
Erasable wall planner is ideal for planning office meetings and events. One side features 90-day planning, and the other has 120-day planning. Both sides are undated. Thick laminated write-on, wipe-off surface allows easy changes and offers ample writing space in each block. Wall planner includes black water-soluble marker.